Brent Hunter is an author, IT professional, certified Knowledge Manager and Project Manager, social media pioneer and former psychotherapist. 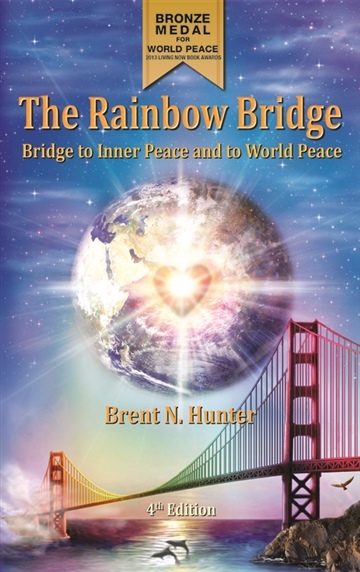 Hunter is author of The Rainbow Bridge, a book that illuminates the common ground in the world's major wisdom traditions, which are also known as universal principles (initially published in 2001). The second edition of The Rainbow Bridge was translated into 23 languages, and the 3rd edition is the recipient of the 2013 Living Now Bronze Medal for World Peace and the Los Angeles Book Festival. Hunter is also the author of The Pieces of Our Puzzle: A Multi-Faceted Approach to Personal Health and Well Being; Nuggets of Wisdom: Quotes to Ponder and Inspire; and More Nuggets of Wisdom: Quotes to Ponder and Inspire.